The Chu ru are also called Cho ru and Chu. 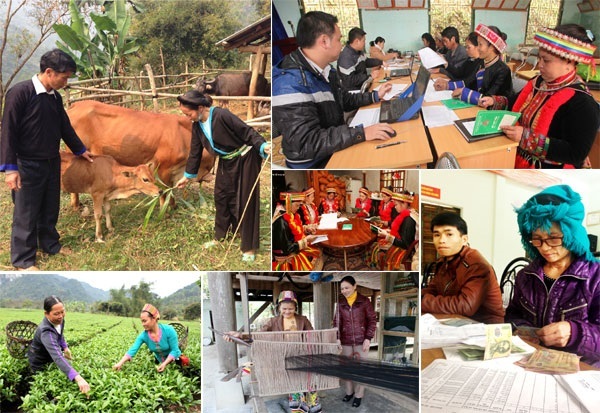 They have a population of more than 10,000 inhabitants, chiefly living in Don Duong district (Lam Dung). 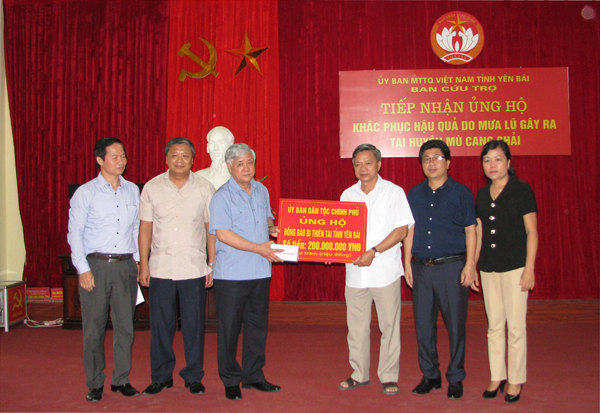 and the rest in Binh Thuan province. Chu ru language belongs to the MalayoPolynesian Group. They adopted a sedentary life and did farming very early. Nowadays they also develop sericulture and life is fairly stable. Apart from cultivation, they raise cattle, pigs, goats and poultry. They make bamboo and rattan articles and production tools such as sickles, picks and knives. Some villages are well known for pottery. Hunting, gathering and picking are sideline occupations in every family. 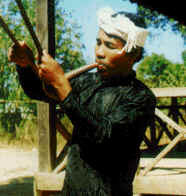 Usually, the extended family of the Chu ru comprises 3-4 matrilineal generations living in an elongated house. Monogamy is observed. The young woman takes her husband on her initiative. The husband lives in his wife's family. The Chu ru worship their ancestors. There is no altar in their house, the rituals being carry out in the cemetery. Agricultural ceremonies are diverse, in celebration of the genies of water and the new harvest. Worth noticing is the veneration of the genie Bo-mung (water dam) celebrated in the second lunar month. 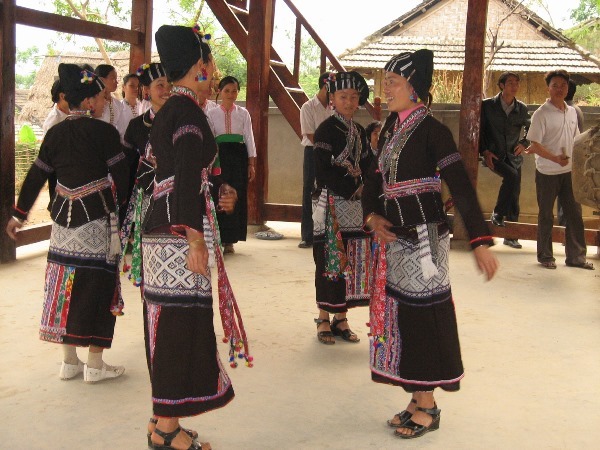 The Chu ru have a rich treasury of oral literature composed of popular songs, folksongs and proverbs with the prominent theme in praise of matriarchy and the role of females in traditional society. In the treasury of folklore, there are stories in verses and narratives of high artistic and historic value.